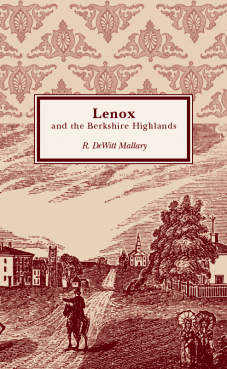 Lenox and the Berkshire Highlands originally was published by G.P. Putnam's Sons and the Knickerbocker Press in 1902. In the book's introduction, Mallary states, "The aim of this book is not to write history but to tell enough of the story of the past to aid in making the region intelligible." He succeeds admirably. This charming armchair tour describes the region's natural beauty, its communities, and civic life. It also introduces some notable residents, including Jonathan Edwards, Nathaniel Hawthorne, and Catherine Maria Sedgwick, among others.